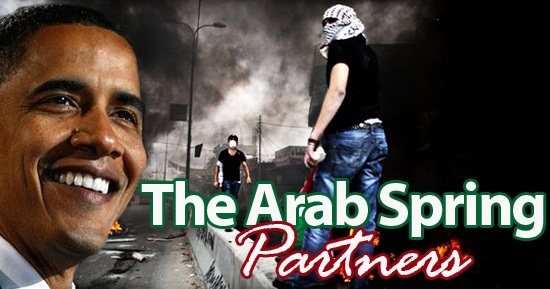 “The Obama Administration’s support of the Muslim Brotherhood revolutionaries in the Middle East, beginning with deposing Mubarak in Egypt then spreading destabilization to Tunisia, Libya and Syria, ignited an out-of-control fire that has consumed practically all of North Africa and the Middle East. The inferno still rages and is imposing irreversible consequences on the West. As with every other major action it has taken, this Administration imposed its anti-West agenda, against all common sense, wisdom, insight or reason. Obama and Clinton overthrew Gadhafi opposing all warnings from their own military leadership. Gadhafi was battling Islamic fundamentalist rebels, and yet Clinton decided to support them. Obama and Clinton had decided on regime change. Clinton lied to America with claims that Gadhafi was planning mass killings of demonstrators — so off she went, supporting Jihadists. No wonder she destroyed her email server. It is also not surprising that she was able to solicit support from Kerry and McCain for her egregious assertions. Responsibility for this massively consequential fraud lays at the hands of Obama, Jarrett, Clinton, Kerry, Rice, Power, among others. This level of stupidity was profound, and yet, it still continues to self-righteously hold the reigns of power. Under Obama’s and Clinton’s watch, the anarchy, chaos and genocide spread, infecting the whole of the Middle East. Across the top of the African continent Obama and Clinton ensured that their plans for destabilization would wash across Libya, Tunisia and Algeria. With the exception of Morocco, the sabotage was complete. The result? Today, ISIS is conducting beheadings on the beaches of Libya, and human traffickers are doing a booming business trucking people north out of Africa and to the shores of the Mediterranean. From there they overload anything capable of floating them to Europe. Many who start out, do not survive the ride through long stretches of desert, and fewer still make it over the waves of the Mediterranean and to the beaches of Italy or Greece or France or Spain. Millions are nevertheless anxious to attempt the voyage. The attraction of perceived stability and the social breadbaskets of Europe is a siren song that is calling to millions who are willing to risk their lives, coming across and through the now unstable North African countries. Intended or not, malicious or not, the Obama and Clinton decisions are now responsible for the daily loss of thousands of lives. Obama’s Arab Spring has transformed into an enforced “wealth redistribution” for Europe. America is under siege by this Muslim tyrant!